As oil prices hit their highest level for 15 months, there is hope that this signals a recovery for other commodity prices too. On Wednesday last week, global oil prices reached their highest levels for 15 months. The US Energy Information Administration reported that domestic crude oil supplies had dropped by 5.2 million barrels in the week ending October the 14th. The oil price was further spurred on by an announcement from Saudi Arabia regarding future oil production. The announcement confirmed that non-OPEC producers have shown willingness to join efforts to limit global crude output. The reduction of the ‘glut’ in oil supplies helped to buoy global markets, and sparked discussion on the recovery of other commodities. So is a reduction in supply going to lead to a global commodity recovery? Or is it too premature to say? This viewed echoed earlier positive quotes from another resource giant, Rio Tinto, regarding the oil and gas markets. Increasing demand from China is anticipated to drive commodity prices up from the last quarter this year, and through 2017. Also benefitting from production decreases from China itself are commodities such as iron ore, whose price has risen 35 per cent this year. Metallurgical coal prices have tripled in the same period for the same reason. Prices of zinc too are at their highest level since the middle of the year, as production is decreased. The recovery comes after five consecutive years of falling prices, mainly due to falling demand from China. At one point during last week the commodity market stood on the edge of being a “bull” market for the first time since 2011. The strength of positivity behind the commodity market also lead to better performance for US markets. This is welcome news for many companies after a particularly volatile year. The recovery doesn’t appear to be a short-term thing either. The price of a barrel of oil is expected to rise to around $55 during 2016. Beyond that, it’s estimated that the price will continue to rise, reaching $70 during 2017. Rising prices are good news for other industries which have struggled in 2016. Maritime shipping has seen an overall loss of around $5 billion this year, with Hanjin being a high-profile example of the industry’s woes. However, if rising prices are combined with increasing volumes, the shipping and transportation industries could see a recovery too. As more shippers move forward with scrapping large numbers of ships, it’s hoped that an increase in demand could help drive more profits next year. However, there is also the feeling that the only way that the maritime industry will fully get back on its feet is through M&A. There have been large moves in this area this year, but not enough to combat the prolonged over-capacity seen in the industry. However, the rising prices aren’t good news for everyone. As we saw in last week’s news, as commodities and raw material prices rise, so does the cost of manufacturing goods. Unilever’s proposed price rises that were rejected by retailers came partly as a result of this. Palm oil, crude oil, and aluminium are all contributing to rising costs for consumer goods. Allied with fluctuating consumer demand, even at a time of year where sales would be expected to be high, it means difficult times ahead for manufacturers. And although the likes of Unilever, P&G, and Reckitt Benckiser have seen increased revenues recently, this has been attributed more to increasing prices, rather than an improvement in demand. As ever, what is good news for one group, inevitably turns out to be worse news for others. Do you think oil prices are a sign of economic recovery? Or could prices going too high actually lead to decreasing spend as goods become more expensive? Let us know below. STX Offshore & Shipbuilding Co., South Korea’s fourth largest shipbuilder, has applied for bankruptcy protection in the USA. The move is designed to stop creditors seizing US-based assets while the company searches for a buyer. One creditor is New York-listed Teekay Tankers Ltd., who won a $32 million arbitration award last year for non-delivery of four oil tankers. Although STX has received billions of dollars to keep it afloat, the issues in the industry have hindered any recovery. How does the NHS Spend its Money? Ever wondered how the NHS spends its money? Think there’s a lot of waste? The BBC has launched a series of articles aimed at answering the public’s questions about the NHS. Though spending is being cut across the service, it remains the most cost-effective health system in the world. However, this counter-balanced by outcomes being at lower levels to other countries who actively spend more on healthcare. Facebook has launched a business collaboration tool, said to be ad-free and not connected to users’ regular Facebook accounts. Businesses can sign up as an organisation for a small fee per user that drops as more users sign on. The tool offers group chat, video calls, live video and a news feed, with relevance algorithms just like regular Facebook. Though many collaboration platforms already exist, Facebook is hoping to build on the familiarity of their public platform for user experience. The shortages come as the distilleries struggle to keep up with growing bourbon demand. Bourbon is a $3 billion industry in Kentucky, providing an estimated 15,400 jobs and providing 95 per cent of the world’s bourbon supply. Negotiations are expected to resume this week between striking workers and Beam Suntory, owner of the Jim Beam brand. New research has revealed a move by European business towards a completely digital P2P environment. 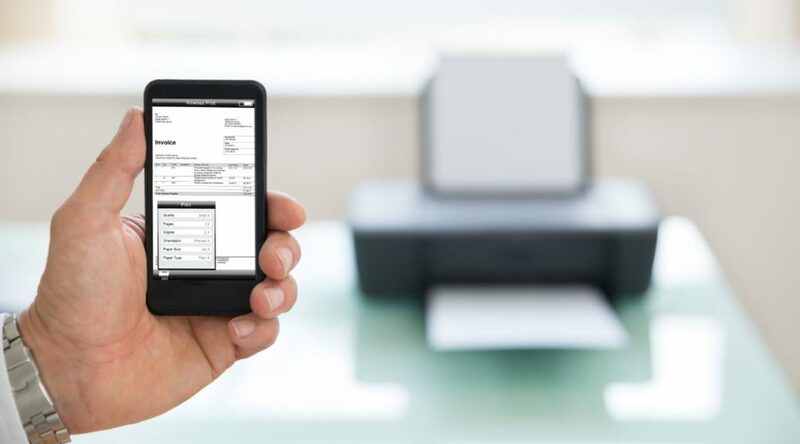 Canon, world leader in imaging solutions, recently announced that just 3 per cent of Western European businesses believe that manual P2P processing will continue into the future. The finding originates from The Future of Purchase to Pay (P2P) 2016, a Canon trends report compiled by ICM Unlimited. The report asked finance and procurement leaders how they believe the world of P2P would to evolve over the next few years. The study, conducted by ICM Unlimited, and developed in conjunction with Purchasing Insight, is the result of 706 online interviews with business influencers and decision makers spanning 12 European markets. The respondents were sourced from board level directors within corporate finance and procurement functions, and from businesses of varying sizes. 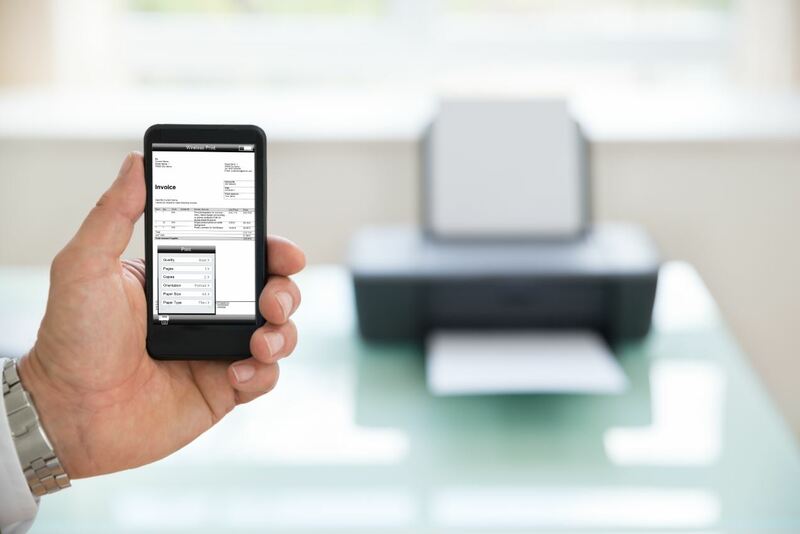 Most businesses report that they have yet to fully control spend using Purchase Orders (PO), while half say they have less than 50 per cent of their spend under control. Despite this, however, there is almost universal agreement that the P2P process will be automated in the future. Over half of the European companies have already begun that journey. 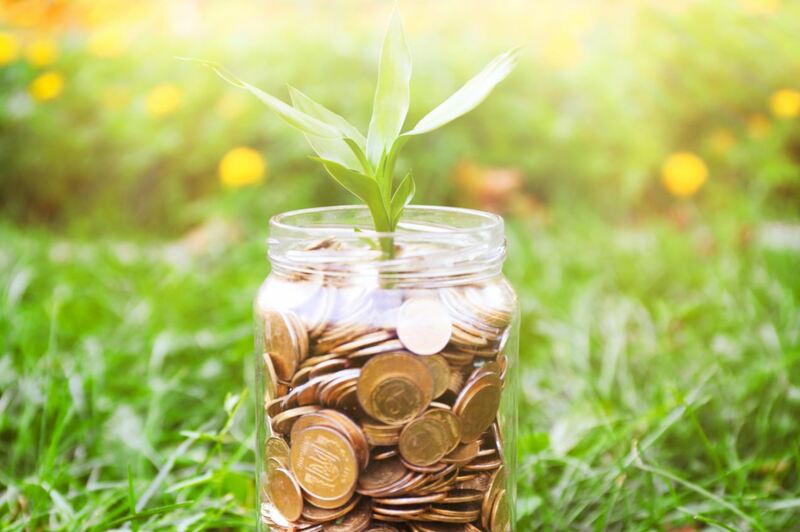 The report found that while there are concerns around cost and productivity, businesses seem motivated to explore how P2P technology can help. Half of finance decision makers (50 per cent) feel their department productivity is below average, while 42 per cent of procurement leaders feel their department is operating below the desired level of productivity. However, the trend towards automation in finance sees no sign of slowing down. 23 per cent of European decision makers are saying that their businesses will achieve full digital transformation for P2P in the next two years. It seems businesses view manual processing of P2P as wholly or partly to blame for the situation. This is shown by 10 per cent of businesses in Europe saying they have already achieved full digital transformation of P2P. 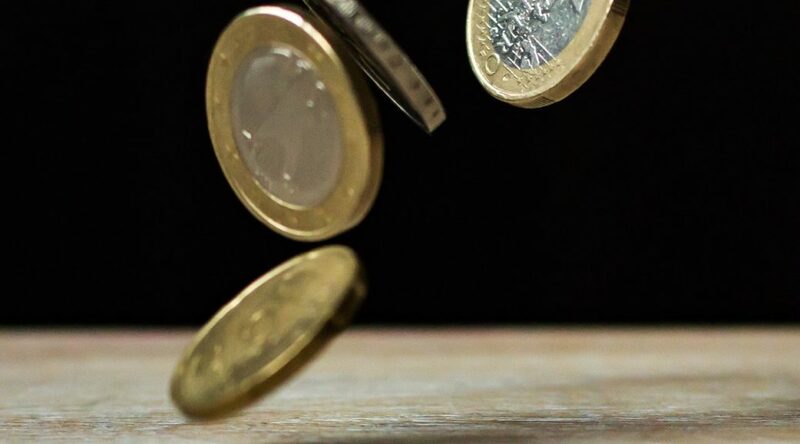 Rachel Griffiths, Business Process Consultant, Canon UK, comments: “In this challenging market, European businesses clearly feel that they need to get a better grip on P2P. They want to be able to access and pay for goods and services in the most cost effective and efficient way possible. “Efficiency and productivity are key elements to any successful business. And technology is seen as the best platform through which to improve in these areas. In order to boost these factors through technology, businesses will need the support of trusted partners. “At Canon, our expertise at providing cutting-edge technology not only solves business challenges, but supports the delivery of superior results in any business function, including P2P,” Griffiths said. This view was echoed by Pete Loughlin, Managing Director at P2P consultancy firm, Purchasing Insight. “The selection of a partner for P2P is very important and European businesses want to collaborate directly with solution vendors for this challenge. 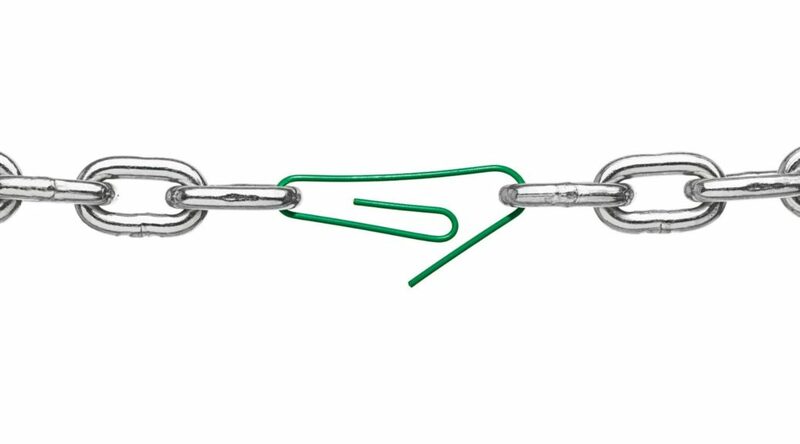 A disagreement relating to rising supply chain costs has highlighted the importance of supply chain stability. Early on Thursday morning, the top news headlines weren’t about conflict or celebrity scandal, but the future of a famous British staple. Maligned and loved in equal measure, Marmite was the topic on everyone’s lips. 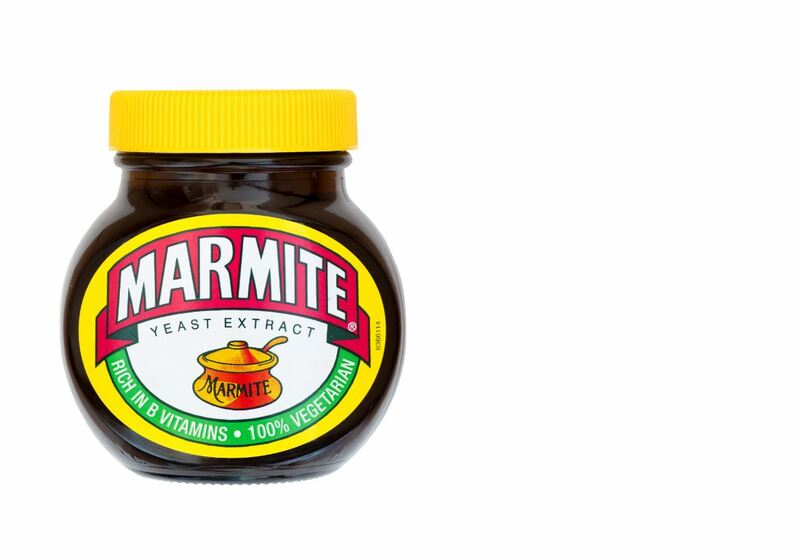 The sudden interest in the salty, yeast-based spread came about due to a very public spat between Tesco and Unilever over rising product costs. According to reports, Unilever had requested that Tesco, and other UK retailers, raise the price of their products in store by 10 per cent. However, when Tesco refused to pass on this cost to customers, Unilever stopped supplying certain goods to the retailer. Tesco responded to this by halting online sales of Unilever products. This sparked concerns of a prolonged shortage of goods on supermarket shelves. However, by Thursday evening, the situation was resolved and the stand-off ended. It’s expected that Unilever goods will return to the Tesco website in the next few days. It’s understood that Unilever gave some ground in negotiations, leading to an agreement between the companies. Asda has also publicly commented that it successfully negotiated with Unilever on the price increase. Unilever’s reason for the requested price increase was the continuing fall in the value of the pound. This has in turn led to higher import costs for goods into the UK. 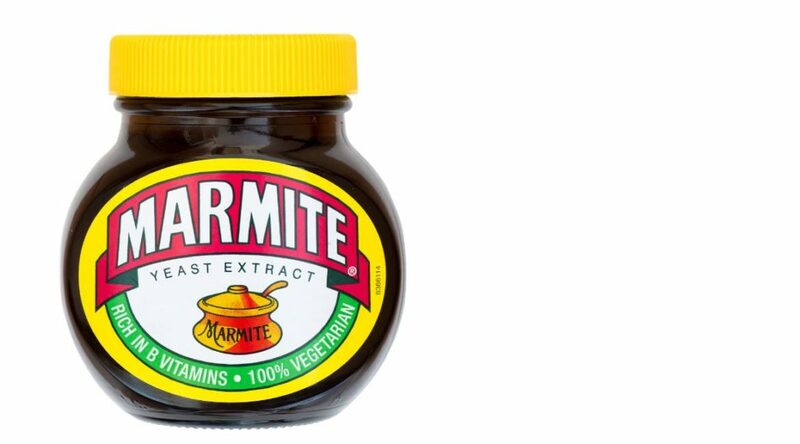 While many of its products, including Marmite, are manufactured in the UK, Unilever imports products and raw materials from its base in the Netherlands. Since the Brexit vote in June, the pound has fallen in value by over 17 per cent. 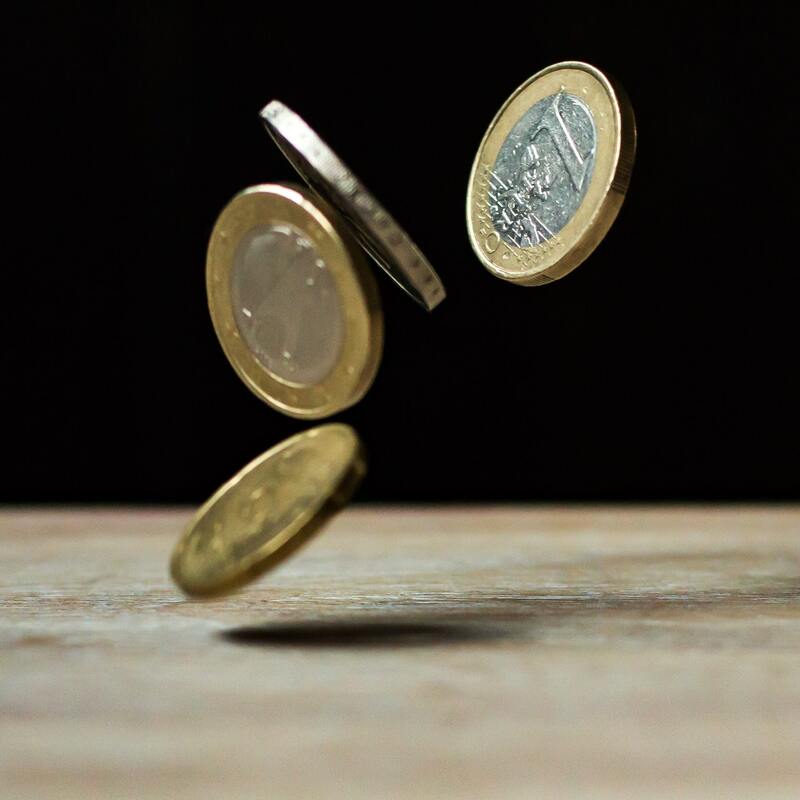 As the pound dropped to its lowest level since June 23rd on Tuesday, it was reported that some airport Bureau du Change had been offering exchange rates of less than one Euro per pound. Graeme Pitkethly, Unilever’s Chief Financial Officer, was quoted on Thursday morning as saying the price increases were part of “normal business“. But, while the price increases may be a normal part of business, experts have warned that this may just be the beginning. As the UK’s exit from the EU comes closer, it’s expected that consumers will see rising prices for many products. As the UK imports more than 60 per cent of what it consumes, the FMCG industry will be one of the hardest hit. Items such as bread, milk, bananas and wine are expected to increase as manufacturers and retailers stop being able to carry the increasing import costs. A rise of between 8 and 10 per cent is expected on clothing, while petrol will rise an estimated 4 or 5 pence per litre in the UK before the end of the month. 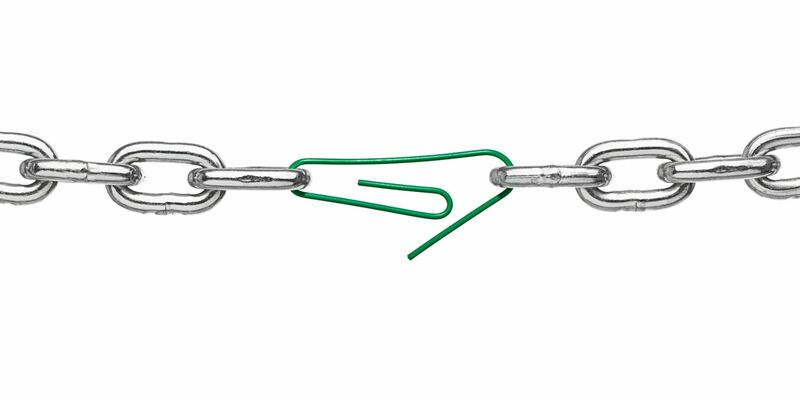 At a time when margins are being squeezed, the importance of supply chain stability is huge. A survey published by the UK Food and Drink Federation (FDF) showed that 63 per cent of manufacturers are suffering from decreased profit margins. As well as this, 76 per cent a seeing higher ingredient costs too. With 96 per cent of the UK’s food and drink businesses small or medium-sized, larger organisations need to be aware of the impacts of margins throughout their supply chains. Some organisations will try to put increasing costs back on to manufacturers, without taking into account the long-term impacts. Any further supply chain disruption on top of what is happening already could potentially drive prices higher again. While prices rises for consumers are probably inevitable, increasing supply chain efficiencies and demand forecasting can help to limit the damage. Helen Dickinson, Chief Executive of the British Retailers Consortium, said: “Retailers are firmly on the side of consumers in negotiating with suppliers and improving efficiencies in the supply chain to control the inflationary pressure that is building through the devaluation of the pound. By building a greater understanding of the costs through the supply chain, retailers and manufacturers can try to overcome a lack of stability collaboratively. Do you work in procurement in retail or FMCG? What are your experiences of the recent price rises? Let us know below. Away from the worries of empty shelves, we’ve stocked up on the week’s big procurement and supply chain headlines. A court in Massachusetts will heard a case last Friday, brought against GM by a now bankrupt supplier. Clark-Cutler-McDermott, alleges GM knowingly led the company into a bad faith deal, and encouraged them to take on more debt. GM have requested the case be dismissed, arguing CCM is trying to pass the blame for poor management. The case will help to shed more light on the highly-criticised bargaining practices allegedly happening in GM’s supply chain. Samsung have begun the process of recalling a further 1.9 million Galaxy Note 7 devices, bringing the total to nearly 3 million since the beginning of September. A fault in the Note 7’s battery has led to it overheating, with users experiencing smoking, sparking, or on-fire devices. The recall is expected to cost Samsung an estimated $2.3 billion. The company has seen $21 billion wiped off its market value since Tuesday last week. A group of MPs has called for the curtailing of the “systematic overuse” of antibiotics in supermarket meat supply chains. Conservative MP Zac Goldsmith tabled a motion calling on UK supermarkets to adopt policies prohibiting routine mass-medication of livestock because of the emergence of antibiotic resistant bugs. The motion has so far received the support of 21 MPs from across the parties. Goldsmith tabled the EDM after a report found resistant E. coli in supermarket pig and poultry meat. The FAA has proposed a fine of $78,000 for Amazon for breaching regulations on shipping of hazardous materials. It’s the online giant’s fourth fine in as many months, with more likely to come from the UK. The latest fine relates to the shipment of an ethanol-based hair tonic, without the correct documentation for flammable goods. The issues highlight the hurdles Amazon faces in scaling up its own logistics and transport operations. Global trade growth has slipped to its slowest rate since the 2009 financial crisis, sparking concerns for jobs and economic growth. The World Trade Organisation has released figures showing that global growth has fallen to 1.7 per cent in 2016. This is well below the forecast 2.8 per cent growth in GDP outlined by the WTO at the beginning of the year. It’s expected global GDP growth will remain around 2.2 per cent for 2016, which would represent the lowest figure since the financial crisis in 2009. The slowdown in growth has been driven by a sharp decline in merchandise trade volumes. These fell in Quarter 1, and then didn’t rebound as expected to the middle of the year. On top of this, the WTO has also revised its 2017 forecasts downwards, from 3.6 per cent, to between 1.8 and 3.1 per cent. Falling global trade and growth is also in part due to slow growth and performance in major world economies, such as China and Brazil. North American growth, the strongest in the world in 2014-15, has also slowed. A reduction on imports into the USA has been partly to blame for this. 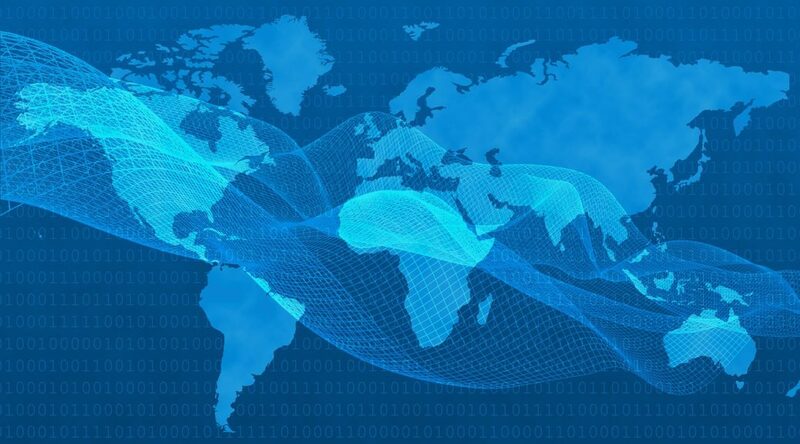 The volatility in the global economy, as well as a backdrop of increasing uncertainty, has been a major consideration for many countries in their trade. Disagreements over global trade partnerships, such as the Trans-Pacific Partnership, have not helped the situation. Both US Presidential candidates oppose the agreement, and have stated they will end US involvement in it after November’s election. The WTO have also warned that uncertainty around the UK’s ongoing relationship with the EU following June’s Brexit vote may lead to even slower growth in coming years. After an extensive period of global trade growth through globalisation, many countries are now looking to pull both manufacturing and supply chains back within their borders. A separate report by the International Monetary Fund (IMF) highlighted the role of protectionism in the slowdown. While tariffs on trade are regulated by the WTO, other measures, such as reducing quotas and increasing subsidies for in-country manufacturing, can be used to reduce exports. This then has a knock-on effect on global trade volumes, and can inhibit development of global supply chains. The global slowdown in trade has also raised concerns about job creation, and general health of the world economy. Both economic growth and job creation have long been linked to open trade. Efforts to re-shore manufacturing and supply chains have an impact on global employment. Though it must be said that many organisation are seeing economic benefits from bringing manufacturing back in-house. These benefits are passed on to the both the local and national economies in turn. However, for many developing countries and smaller companies, the slowdown in trade will hit harder. Roberto Azevedo called on countries to “heed the lessons of history“, and re-commit to open trading to boost economic growth. Though some positive signs have been seen in the past month or so, the uncertainty remains. The US Presidential Election could fundamentally change the way one of the world’s largest economies interacts with the rest of the world. And with other major economies not showing signs of quick recovery, it remains to be seen when or if the global slowdown will be arrested. What are you seeing in relation to global trade in procurement? Is your supply chain suffering from the slowdown? Let us know below. We’ve taken time out from getting you fit with Career Boot Camp to check out the top headlines this week. Greenpeace activists are blockading operations of IOI, one of the world’s biggest producers and traders of palm oil. A group of ten people, including two Indonesian farmers affected by forest fires related to palm oil operations, are blocking access to IOI’s refinery in Rotterdam. The Greenpeace ship Esperanza is also preventing palm oil from being unloaded from incoming tankers. Greenpeace is demanding that IOI commits to a sustainable palm oil supply chain before they lift the blockade. The industry has doubled in size over the past five years, as consumers look to smaller companies for their beer. Farmland devoted to varieties of hops has increased by 65 per cent in the same period. However, the number of small customers makes it difficult for farmers to keep up with demand. As a result, production has slowed for the first time after several years of rapid growth. An inquiry into the UK’s military acquisition and procurement policy has been launched by the House of Commons Defence Committee. The review was prompted by a report published last year by think-tank Civitas that argued for an overhaul of the MOD’s acquisition process. The committee’s inquiry will look into whether emerging acquisition systems are offering value for money. It will also look at the implication of Brexit will have on the UK’s defence industry. Silicon Valley tech organisations are looking more closely at why trucks have jumped ahead of cars in driverless technology. Software companies are also looking at the technologies that could be used in passenger cars in future. Uber demonstrated its interest in lorries when it announced the acquisition of Otto, a start-up focused on self-driving technology for trucks. It has been argued that such technology is used on commercial vehicles first, as there is potential for faster ROI. Is the Age of the Tech Unicorn at an End? 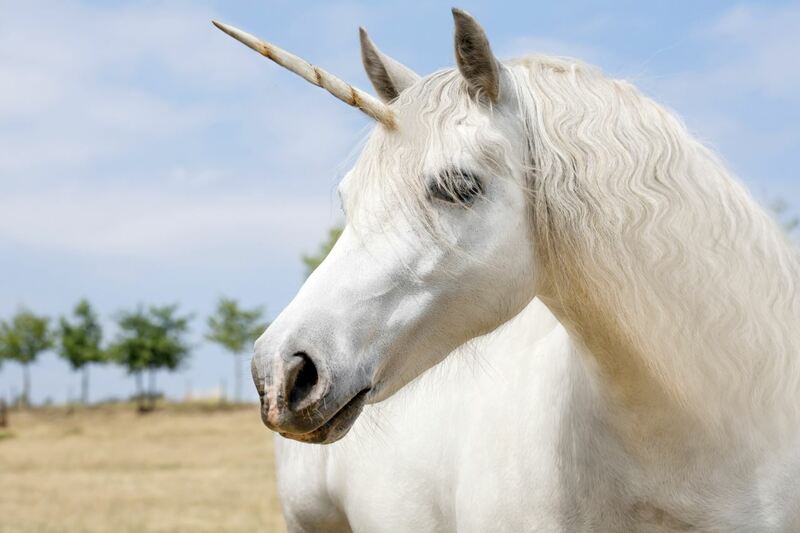 Once, every tech start-up wanted to be a unicorn? But could the age of the unicorn be at an end? And what will replace them? For the past few years, much of the talk for new technology start-ups has been about achieving the moniker of a ‘unicorn’. Many have tried, plenty have failed, but there are as many that have succeeded. However, as many people warned, the constant rise of the ‘unicorn’ was always going to come to an end. And even some of the big name unicorns from the past few years have lost this particular title. So, is the age of the unicorn at an end? And what is coming next to take their place? For those of you still unfamiliar with the term, a unicorn is a technology start-up company, which reaches a valuation of over $1 billion. The companies are characterised by rapid growth, and are generally privately funded, either through VC, or other routes. The issue with unicorns, one that investors were aware of from the start, is that they are not profitable. Well, at least to begin with. Most unicorns aim to prove concept, and grow market share, before making any money. Valuations tend to be based on future projections of worth, which is why truly defining a unicorn is tricky. Currently, the Wall Street Journal lists 155 unicorn firms, Fortune 174, and VentureBeat 229. There are plenty of recognisable names on these lists. Uber, Airbnb, SpaceX and Dropbox, to name but a few. Many of these companies also appear on lists of organisations still considered to be disrupting their respective industries. It’s probably easier to argue that companies like Facebook and SpaceX, unicorns of the past, have surpassed that title by being profitable in their own right. And profitability, after all, is surely the key. Pop! Is that a Bubble Bursting? When we first visited the topic of unicorn organisations a little under a year ago, we did highlight vulnerabilities in this set up. Venture capitalists and their investments are as much susceptible to market changes as any other business. And given the global uncertainty that has been prevalent in 2016, many investors are looking for safer options. And this decrease in available funding has already seen a major impact amongst unicorns. 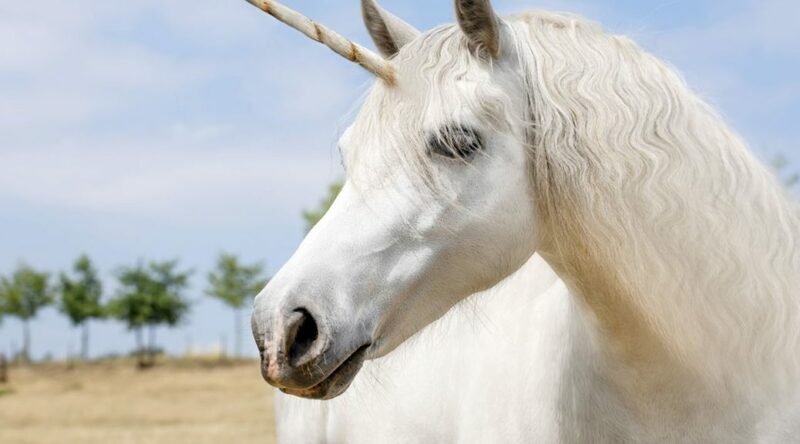 The pre-IPO investment firm Sharespost published an analysis in August that concluded that 30 per cent of all unicorns would lose their billion-dollar net worth. Some already have, and some have been pushed down that road in the past 9 months. Big name companies like Theranos (once a unicorn, now subject of media interest for all the wrong reasons) and Evernote have already had valuations written down. Even Twitter and Uber have lost some of their valuation (though not enough to take them under the magic $1 billion mark). Yes, really. Well, if you’re looking for a survivor, it’s well known that cockroaches could probably survive the apocalypse! It might not be as glamorous a title, or an image, but the cockroaches are here to stay. Cockroach organisations differ from unicorns by having slow and steady growth, a closer eye on spending, and steady profits. Cockroaches exist where funding doesn’t come as easily, but they can be smaller, more agile, and better prepared for uncertainty. And with smaller budgets, they are regarded as being more creative than their unicorn counterparts. For investors, this represents a safer option, and a potentially better return in the long-run for them and their clients. While some unicorns will make it, and make it big for their investors, cockroaches are seen as a safer investment, something that is welcome in volatile markets. Where will we be in another year? Who knows. We can’t predict which companies will still have their unicorn title, and which will be falling back. However, the chances are that the cockroaches are here to stay. Cockroach or unicorn – which would you rather be involved with? Is the age of the unicorn really at an end? Let us know your thoughts below. While you ponder that, here are this week’s procurement and supply chain headlines to keep you going. A fleet of 176 fire trucks are to finally enter service in Bangkok, a full 10 years after they were purchased. The trucks have locked up in a warehouse for over a decade due to a prolonged legal dispute. The Austrian-made trucks were locked up soon after delivery as part of a wider corruption scandal involving senior government ministers. Due to their age, the trucks require extensive maintenance before they can be put to use. The Amsterdam Institute for Metropolitan Solutions plans to use the city’s extensive canal network to trial a fleet of autonomous boats. The floating robot vehicles will deliver goods and provide driverless transportation for people along the canal network. The boats can also be linked together to provide on-demand bridges and stages. Amsterdam’s research into robot canal boats parallels the proliferation of self-driving cars in the US and elsewhere. Amazon has hired the former head of the Office of Federal Procurement Policy, Anne Rung, in a bid to increase its sales to government agencies. The role, titled Global Leader of Public Sector Sales, will focus on helping Amazon win government purchasing contracts. Rung will work closely with government buyers to purchase goods and services more efficiently. In her Federal role, Rung reportedly saved taxpayers more than $2.1 billion in procurement spending by reducing duplication. ISM and THOMASNET.com’s 30 Under 30 Supply Stars programme has returned for its third year. The programme celebrates the achievements of young professionals in Procurement and Supply chain, with the goal of attracting more Millennials into the profession. This year, for the first time, the competition has expanded beyond the US to include nominations from around the world. Judges are looking for multitalented professionals who are influencers and trailblazers in their organisations. Public confidence in supermarkets and their supply chains has taken another hit, following a scare about contaminated chicken. A recent report has found that one in four chicken samples bought from major supermarket chains contain antibiotic-resistant E.coli. The findings are again putting pressure on supermarkets to tighten their supply chain quality assurance processes. While supermarkets have worked hard to improve supply chain traceability, this report shows there is much work to be done. It also serves to highlight a wider issue in the food supply chain – the use of antibiotics. There is on-going criticism about the overuse of antibiotics by humans, but use of the drugs on livestock is contributing to increased resistance to antibiotics by so-called “super-bugs”. The study of chicken samples was carried out by the University of Cambridge. 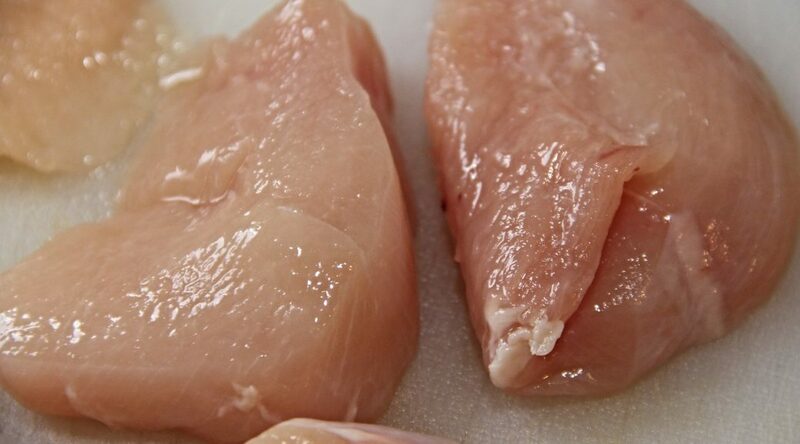 It revealed that from 92 chicken pieces, including whole chicken, thigh pieces, drumsticks and diced breast meat, 22 pieces contained potentially deadly bacteria. 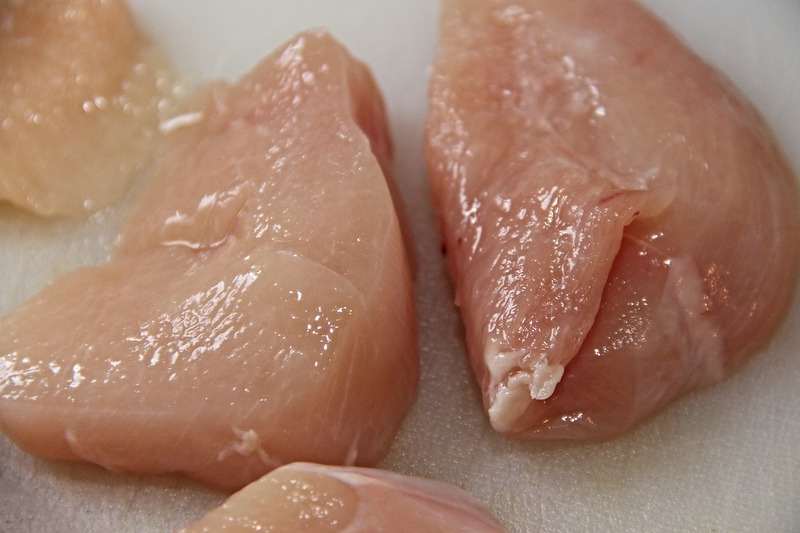 The “superbug” strain of E.coli was found in chicken samples from all leading UK supermarkets, including Tesco, Waitrose, Aldi and Morrisons. Similar strains were found in supermarket pork samples tested in the same study. The findings raise concerns about the quality of factory farming in the UK, as well as the end-to-end supply chains of the big retailers. Dr. Mark Holmes, part of the research team that conducted the study, suggested that more resources needed to be put into assessment of antibiotic resistance in animals in the supply chain. Quality control software experts InfinityQS suggest that, while the supermarkets themselves might argue that their quality assurances are sound, the findings suggest this is not the case. The company suggested that closer relationships with both suppliers and farmers was necessary. This could mean a more pro-active approach to site visits to where they source food from, and understand how they could help farmers to make improvements. “An effective supply chain process will ensure that controls are in place to manage the necessary people, activities, resources and data throughout the supply chain. The report also serves to highlight the wider issue of overuse of antibiotics in humans and animals. As well as depleting global supplies of antibiotics, systematic overuse is creating resistant strains of potentially deadly bacteria, including E.coli. It’s predicted that, by 2050, one person will die every 3 seconds around the world from antibiotic resistant bacteria. Globally, 70 per cent of bacteria have now developed antibiotic resistance, including to traditionally ‘last line of defence’ treatment. It’s estimated that around 40 per cent of antibiotic use in the UK is for animals in the food supply chain. The drugs are frequently given to large groups of completely healthy animals, with the intention of stopping the spread of infections. Mass medication accounts for an estimated 90 per cent of all animal antibiotic use in the UK. Intensive farming practices, and keeping large groups of animals in close quarters, is to blame for such practices. In such crowded conditions, even one unhealthy animal can have devastating consequences. However, as farming practices change, and retailers aim to ensure higher animal welfares standards, this issue may be lessened. Retailers have also been urged to pay a higher price for meat such as chicken and pork. This would relieve productivity pressures on farmers, and reduce intensive farming too. Will this change your dietary habits? How can procurement get more involved in changing the underlying issues? Let us know in the comments below. The Procurious Career Boot Camp kicks off in earnest this morning with the release of our first podcast! Today, as well as every day for the next 15 work days, we’ll be releasing a podcast at 9:30am (BST). You can access everything you need to enlist for Career Boot Camp here. If you have any questions, read this, or get in touch. The chances of a bailout for stricken shipping company Hanjin look unlikely, increasing the possibility of liquidation. The bailout was needed to help the company combat $5.4 billion debts, and allow it to unload cargo at ports. However, with decisions still to be made, the South Korean Government criticised the company for “economic irresponsibility”. The company is conducting sales fund the release of $14 million worth of stock currently stuck on its cargo ships. A company called Sewbo has developed a robot that can sew, and intends to replace humans in the garment manufacturing process. The machine uses stiffened, pre-cut garment pieces and feeds them into a sewing machine, before dropping the completed garment into hot water to remove the non-toxic stiffener. Automated clothing production provides a potential solution to labour abuses and sweat-shop conditions in the developing world. However, large-scale automation would also put millions of people in the garment industry out of work. According to a Climate Action Tracker report, the last petrol powered car will have to be sold by 2035 to limit global warming to 1.5 degrees Celsius. A ceiling of 1.5 degrees was the most stringent goal set by world leaders at the Paris summit last December. This means aggressive measures will be required to shift rapidly away from fossil-fuel powered vehicles much earlier than expected. Australia’s scandal-ridden offshore detention centres for asylum seekers have come under intense scrutiny once again. An audit of the centres revealed “serious and persistent deficiencies” in the relevant department’s management of the contracts. It identified failures in the open tender process for security, cleaning, catering and welfare services, with costs blowing out from a $351 million contract in 2012, to a current $2.2 billion contract. The report also criticised the original open tender process, and negotiations that took place with suppliers in 2012. Like to start your day with a latte? Make the most of it while it lasts, as climate change threatens extinction of the coffee bean. No, it’s not scare-mongering. And yes, there are more important things in the world than a daily espresso. However, the possible extinction of the coffee bean could have a wider-ranging, and more devastating, impact than you think. And that’s not all. Climate change is also threatening a number of other popular foods and drinks, including chocolate, wine and beer. A new report by the Climate Institute has shed light on a number of worrying facts. They argue that, should global warming continue at the same rate, wild coffee could be “extinct” by 2080. In addition, rising global temperatures, and increasing pests and funghi could halve the available farmland suitable for growing coffee by 2050. And it’s not just gourmet beans, and your local Starbucks’ supply of arabica beans that are set to be impacted. With a global temperature increase of 3 degrees as a result of climate change, even instant coffee is going to suffer. Climate change is also causing the spread of pests and funghi to coffee growing areas not previously affected. Coffee Leaf Rust, a fungus, and the coffee berry borer, a pest, have destroyed crops in South America, and have started to appear at higher altitudes, impacting a greater number of crops. 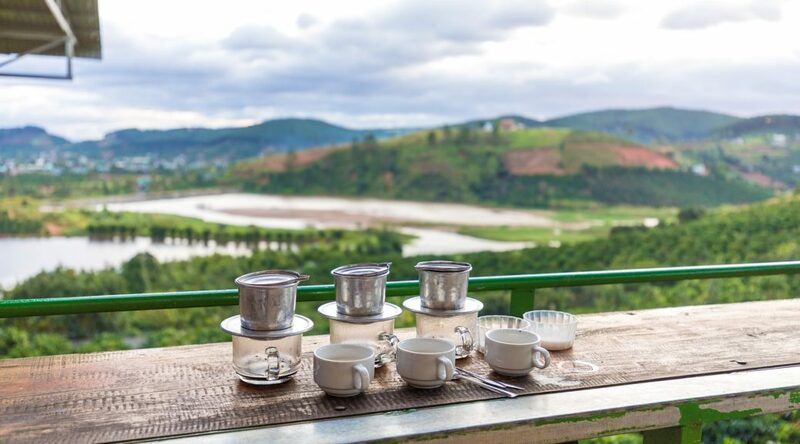 Around the world, people drink more than 2.25 billion cups of coffee each and every day. In the UK alone, 70 million cups of coffee are consumed each year. And by 2020, it’s predicted that there will be 21,000 coffee shops around the country. Coffee is a major export for a number of developing countries. An estimated 120 million people would be impacted by the total extinction of coffee crops. In countries like Burundi, coffee makes up 59 per cent of its exports, while it accounts for 33 per cent of Ethiopia’s. However, climate change is already taking its toll in a number of other coffee producing countries. In Tanzania, where 2.4 million people work in the coffee supply chain, output has dropped by 50 per cent since the 1960s. In 2012-13, the spread of coffee leaf rust in South America destroyed 85 per cent of Guatemala’s coffee crop, caused damage worth $500 million across the region, and cost 350,000 people their jobs. And while some growers can move crops to higher altitudes to mitigate this risk, it’s not an option for small farmers who make up 80-90 per cent of total coffee growers. However, there is still time to make a difference and help sustain the livelihoods of the millions of people who rely on coffee for an income. Helping to reduce emissions is a good place to start. 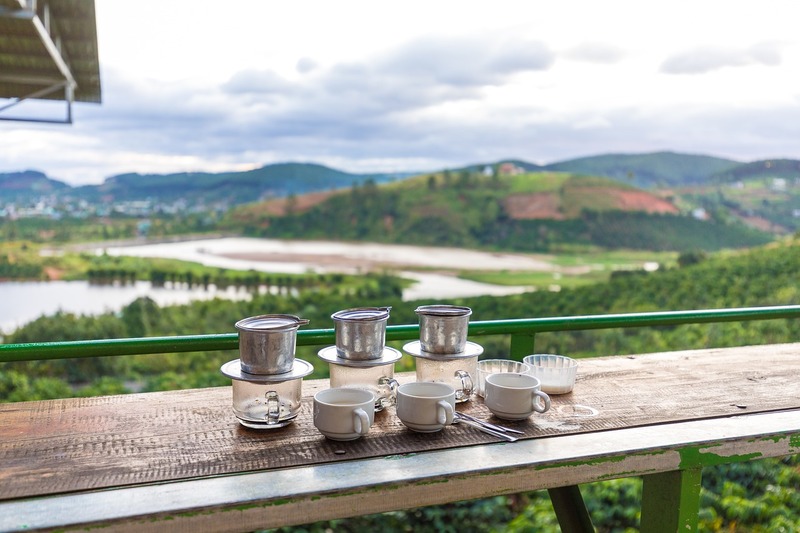 Limiting temperature rises to 1.5 degrees could make a major difference to coffee producers. On your daily coffee run, use a reusable cup – one paper cup has the equivalent carbon footprint to 811 passenger vehicles. Consumers can also buy brands that give a good deal to small farmers. These funds can then be used to help the farmers adapt their practices and mitigate future risks. Sadly for all the foodies out there, coffee isn’t the only crop that is under threat from climate change. Avocados, chick peas, honey, and bananas are all on the food equivalent of the ‘endangered’ list if current trends continue. And what’s more, chocolate, wine and beer may also be at risk. Chocolate is suffering from over-demand (70,000 more tonnes were consumed than produced last year), and cocoa supplies could be exhausted in the next 16 years. As for wine, with current temperature rises, an estimated 73 per cent of land in Australia, and all of the Bordeaux region, will be unsuitable for grape crops by 2050. As consumers it’s time to change our habits, or face running out of some of our staples and luxuries. It’s high time we all make some changes. The fallout from the bankruptcy of South Korean shipping company, Hanjin, has continued throughout the week. Despite a US Court granting Hanjin ships access to ports, there are still concerns that delays will create significant bottlenecks for retailers. Companies including Samsung, Hugo Boss, and Nike have all reported having to source alternative logistics options due to shipping delays. Hanjin Group has made an offer of 100 billion won ($92 billion) to help contain supply chain disruptions. The Australian government has asked Shenzhen Energy Transport to pay $120 million towards the clean-up of a 100-acre area of the Great Barrier Reef. One of the company’s ships ran aground on the southern edge of the reef in 2010 after going off-course. According to the Great Barrier Reef Marine Park Authority, the ship caused severe physical damage and considerable contamination by toxic chemicals, including the now-banned anti-fouling agent tributyltin. Shenzhen is fighting the bill, arguing the costs are unrealistic, and that the Great Barrier Reef is “self healing”. A new report from Eduserv suggests that UK local council procurement teams are “off message” on the Government’s G-Cloud software. Only one in three councils say they have both a cloud IT strategy and a procurement policy which allows them to use G-Cloud. Over 27 per cent claim they have an in-house procurement policy that doesn’t let them use G-Cloud at all. The report has suggested that councils need to bridge the gap between IT and procurement to drive G-Cloud usage. 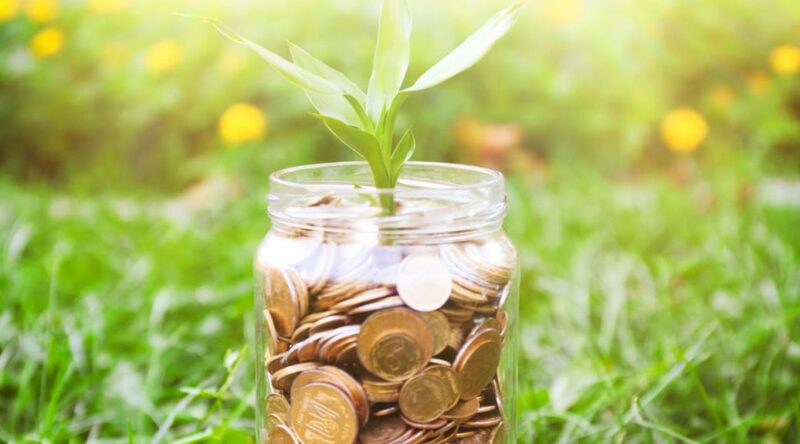 Cloud-based spend management platform Coupa Software has publicly filed a registration statement with the U.S. SEC for an initial public offering. The company has announced plans to raise $75 million in IPO. Do you want to add more value to your organisation? Do you dream of being a CPO? Then Procurious’ Career Boot Camp is for you! Calling all procurement and supply chain professionals! Are you impatient to add more value to your organisation? Do you dream of becoming a Chief Procurement Officer (CPO) in the future? With globalisation and technological change disrupting every aspect of our profession, making time to update your skills can catapult you up the ladder. According to Deloitte’s third annual Global Supply Chain Survey, individuals with leadership acumen are in especially high demand. 79 per cent of supply chain executives surveyed by Deloitte said it was very important or extremely important for new hires to have leadership and professional competencies (to help with change management, problem solving, etc.). 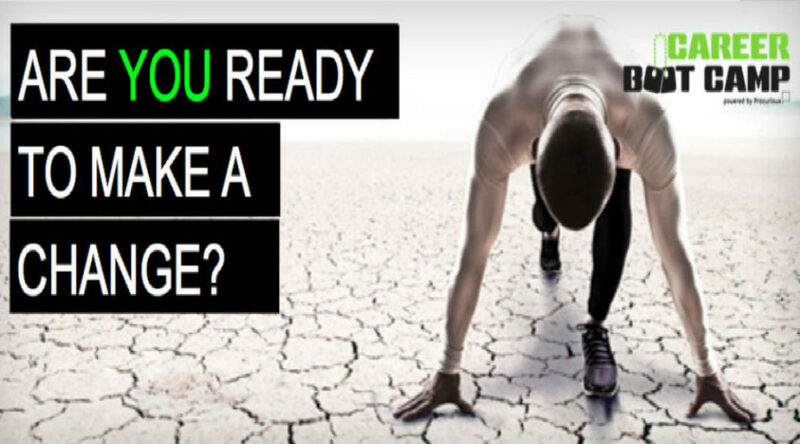 In response to this need, Procurious is launching a free, exclusive 15-day Career Boot Camp programme to help high-achieving professionals around the world get in the best career shape of their lives, and upgrade their skills while on the go. Starting the 19th of September, Boot Camp will feature a short, daily podcast, from a selection of top procurement leaders and business influencers. But, individuals who wait will lose out! Each podcast will be available for just one day before being replaced by the next one in the series. Listen, Learn, Discuss – and Advance! The podcasts will showcase a variety of topics, from being your team’s MVP and networking your way to the top, to incubating your big ideas, all designed to give participants a career cardio boost. And that’s not all! Each podcast will be accompanied by a blog article, and vibrant group discussions on the Procurious website. We’ll also be hosting other articles and thought leadership pieces on every aspect of your career. Plus, we’ll be asking our senior procurement leaders to share the benefits of their career experience in our ’60 Seconds With…’ article series. The key thing to remember is that you can make Boot Camp fit to your schedule, and work for you. The beauty of Boot Camp is that it’s an entirely digital experience, which adds to Procurious’ current eLearning and skills development opportunities. “The next generation in procurement needs to take the responsibility for their professional development into their own hands,” said Tania Seary, Founding Chairman of Procurious. So come on, don’t get left behind by your peers and colleagues. Build your personal workout plan, and get fit to meet these leaders’ needs! If you’re new to Procurious, try one podcast. If you’re a Procurious member, sign up for the whole programme! Take a step toward your next promotion by registering for Career Boot Camp today.